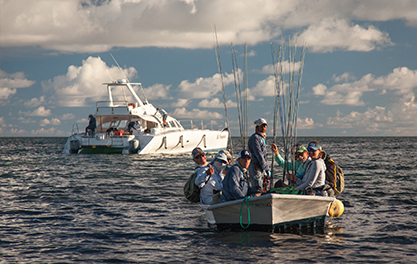 The Best Flies to Land Bonefish - Alphonse Fishing Co. When you find yourself in one of the most prolific bone fisheries in the world, it is key to take advantage of the situation by using the best possible flies to land the biggest and best Bonefish. 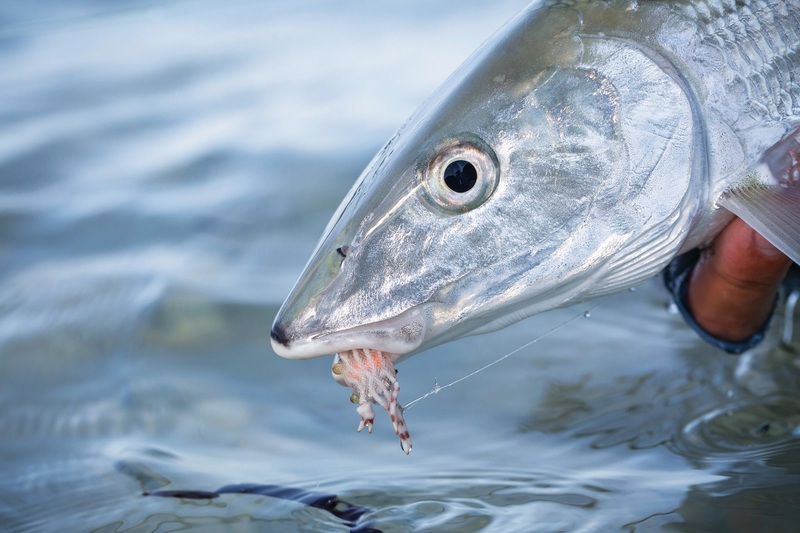 The reason why Bonefish are so common to target in the world of fly fishing is due to them almost always being in the mood to feed and their eagerness to take a fly. In most cases, if you present the fly well enough, the chances of the Bonefish taking it is good. Like all fishing though, nothing is guaranteed. Bones can be very difficult to find at times, but by now we have figured out their favourite hangouts. The most obvious place to look for this silvery species would be in the shallow flats. This is quite a popular fly and will no doubt be in every guide’s box. 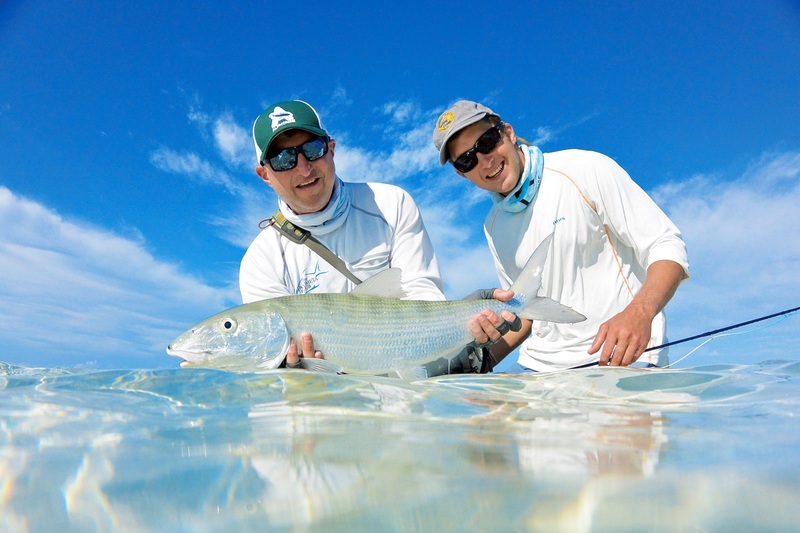 The reason for this is quite simple – the large majority of Bonefish have been caught on a PT at Alphonse. 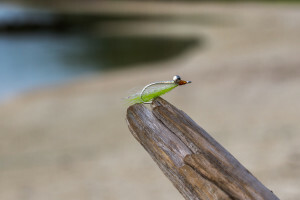 For this fly, keep an eye out on the water conditions (shallow, deep, fast flowing, etc.) as these conditions will determine what type of eye to use. And to finish it off, choose either a red cotton or red flash. A touch of advice: the sparser the fly is tied, the better. This fly has a very realistic look and as the name suggests, it imitates a shrimp carrying a belly full of eggs, making it a scrumptious meal. 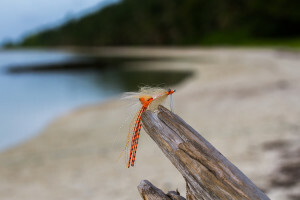 The reason this fly works so well is because it is one of the biggest Bonefish flies we use. The bigger the fly, the bigger the reward (seems) for the fish. Be warned though, there is usually a very positive and aggressive reaction when presenting this fly to the target. Another relatively life-like fly that, as the name suggests, imitates a crab on the move. It is a simple, yet highly effective, pattern for reeling in the perfect Bonefish. It can be tied in a variety of colours and sizes. The most commonly used colours are barred tan and white with orange rubber legs. 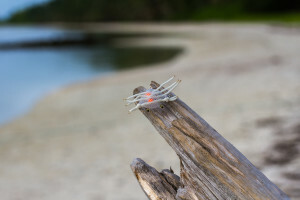 These three flies should be in every Bonefisherman’s box, not only for their effectiveness in targeting Bonefish, but also because they are effective in targeting other species on the flats. The Pillow Talk pattern has been used in landing Permit, Triggerfish, Bluefin Trevally and small Giant Trevally. In a pinch, taking off the eyes will turn it into a pretty decent Milkfish fly. For that matter, both the Fleeing Crab and Spawning Shrimp has been in the mouth of many a Permit, Trigger and Trevally. All of these flies along with any additional gear you might need is available on the islands. Alternatively, our guides are fully kitted to tie any flies that are perhaps not available. These are our top choices for the best flies to target Bonefish. 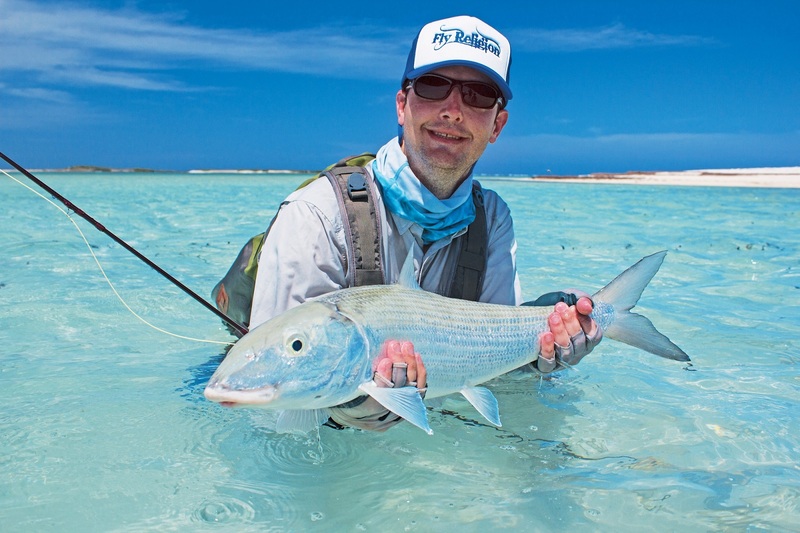 For more tips on technique, gear and best practices on landing one of these sleek specimens, you can have a look at our Fly Fishing for Bonefish page.